Rurem.tv reserves the right, at its sole discretion, to modify this Agreement in the future, and such modifications shall be deemed effective immediately upon posting to the Website. Any continued use of the Website after posting such changes will constitute your acceptance of this Agreement as modified. This Website is only for your personal use and may not be used in connection with any commercial endeavors. You are required to comply with all applicable laws in connection with your use of the Website, and such further limitations as may be set forth in any written or on-screen notice from Rurem.tv. As a condition of your use of the Website, you warrant that you will not use the Website for any purpose that is unlawful or prohibited by this Agreement. This Website may contain third party-owned content and links to third party websites or resources. Rurem.tv does not endorse, sponsor, recommend, or otherwise accept responsibility for any third party content on the Website. In addition, Rurem.tv has no control over third party websites or resources and is not responsible for any content, advertising, products, services or other materials on or available from such websites or resources. Rurem.tv shall not be liable, directly or indirectly, for any damage or loss caused or alleged to be caused by or in connection with the use of, or reliance upon, any such content, advertising, products, services or other materials on or available from such websites or resources. Rurem.tv is not liable for content provided by others, including users on this Website. We have no obligation to review or monitor content posted to the public areas of the Website by others. However, Rurem.tv reserves the right to review, change or delete such content without notice and for any reason. You may not post content to the public areas of the Website that violates this Agreement. Rurem.tv does not claim ownership of any content that you may post. However, by submitting content to the public areas of the Website, you grant Rurem.tv the right to use, copy, distribute, transmit, display, publish, reproduce, edit, adapt, modify, translate and promote this content, and to create derivative works from, or incorporate into other works, such content, and to grant and authorize sublicenses of the same. We or our suppliers may provide you with software to use with the Service. Your use of any such software will be governed by the terms and conditions of the end user license agreement (.EULA.) accompanying such software. If you receive any software that is not accompanied by a EULA, then we grant you a non-exclusive, revocable, personal, non-transferable license to use such software on any single computer from which you wish to access and use the Service. Rurem.tv reserves all rights to such software not expressly granted to you in this Agreement. Such software is protected by copyright and other intellectual property laws and treaties. Rurem.tv or its suppliers own the title, copyright, and other intellectual property rights in such software, and such software is licensed, not sold. You may not sell or redistribute the software. The license granted to you under this section for such software will terminate on the date your Service subscription terminates. Rurem.tv may disable such software after the date your subscription terminates. You will not disassemble, decompile, or reverse engineer such software. Rurem.tv may automatically check your version of such software and may automatically download upgrades to such software to your computer in order to update, enhance and improve the software. Rurem.tv bills you through an online account (your .Billing Account.) for use of the Service. You agree to pay Rurem.tv all charges including but not limited to a non refundable administrative fee at the prices then in effect for any use of the Service by you or other persons (including your agents) using your Billing Account, and you authorize Rurem.tv to charge, and you agree to pay using, your chosen payment method (your .Payment Method.) for your use of the Service. Accepted Payment Methods include Visa/MasterCard/AmEx. You represent that you are authorized to use your Payment Method. Rurem.tv reserves the right to correct any errors or mistakes that it makes even if it has already requested or received payment. YOU MUST PROVIDE CURRENT, COMPLETE AND ACCURATE INFORMATION FOR YOUR BILLING ACCOUNT. YOU MUST PROMPTLY UPDATE ALL INFORMATION TO KEEP YOUR BILLING ACCOUNT CURRENT, COMPLETE AND ACCURATE (SUCH AS A CHANGE IN BILLING ADDRESS, CREDIT CARD NUMBER, OR CREDIT CARD EXPIRATION DATE), AND YOU MUST PROMPTLY NOTIFY Rurem.tv IF YOUR PAYMENT METHOD IS CANCELED (FOR EXAMPLE, FOR LOSS OR THEFT) OR IF YOU BECOME AWARE OF A POTENTIAL BREACH OF SECURITY, SUCH AS THE UNAUTHORIZED DISCLOSURE OR USE OF YOUR USERNAME OR PASSWORD. CHANGES TO SUCH INFORMATION CAN BE EMAILED TO US. IF YOU FAIL TO PROVIDE Rurem.tv ANY OF THE FOREGOING INFORMATION, YOU AGREE THAT Rurem.tv MAY CONTINUE CHARGING YOU FOR ANY USE OF THE SERVICE UNDER YOUR BILLING ACCOUNT UNLESS YOU HAVE TERMINATED YOUR SUBSCRIPTION TO THE SERVICE (CONFIRMED IN WRITING UPON REQUEST). The terms of your payment will be based on your Payment Method and may be determined by agreements between you and the financial institution, credit card issuer or other provider of your chosen Payment Method (the .Payment Method Provider.). If Rurem.tv does not receive payment from your Payment Method Provider, you agree to pay all amounts due on your Billing Account upon demand. If the amount to be charged to your Billing Account varies from the amount you preauthorized, you have the right to receive, and Rurem.tv shall provide, notice of the amount to be charged and the date of the charge at least ten (10) days before the scheduled date of the transaction. Any agreement you have with your Payment Method Provider will govern your use of your Payment Method. You agree that Rurem.tv may accumulate charges incurred and submit them as one or more aggregate charges during or at the end of each billing cycle. Rurem.tv MAY CONTINUE TO SUBMIT RECURRING OR PERIODIC CHARGES FOR YOUR SUBSCRIPTION TO THE SERVICE WITHOUT FURTHER AUTHORIZATION FROM YOU, UNTIL YOU PROVIDE PRIOR NOTICE (CONFIRMED IN WRITING UPON REQUEST) THAT YOU HAVE TERMINATED THIS AUTHORIZATION OR WISH TO CHANGE YOUR PAYMENT METHOD. SUCH NOTICE WILL NOT AFFECT CHARGES SUBMITTED BEFORE Rurem.tv REASONABLY COULD ACT. TO TERMINATE YOUR AUTHORIZATION OR CHANGE YOUR PAYMENT METHOD, GO TO MY ACCOUNT (Moy Schet) SETTINGS PAGE OF Rurem.tv AND CLICK DEACTIVATE SUBSCRIPTION LINK. IF YOU TERMINATE YOUR SUBSCRIPTION, SUCH TERMINATION WILL BE EFFECTIVE IMMEDIATELY. Your non-termination or continued use of the Service reaffirms that Rurem.tv is authorized to charge your Payment Method. Rurem.tv may submit those charges for payment and you will be responsible for such charges. This does not waive Rurem.tv’s right to seek payment directly from you. Your charges may be payable in advance, in arrears, per usage, or as otherwise described when you initially subscribed to the Service. Rurem.tv may, in its sole discretion, change the pricing of the Service subscription. If your subscription is for a specific duration and price, then that price will remain in effect for such duration, and any continued use of the Service thereafter will be at the new price. If your subscription is on a periodic basis, with no specified duration, then any change in pricing will be effective on the date indicated by Rurem.tv. If you do not agree to such change, then you must cancel your Membership subscription and stop using the Service prior to the effective date of such change. Your non-termination or continued use of the Service after the effective date of such change constitutes your acceptance of and agreement to such change. All amounts you owe Rurem.tv must be paid in full on the date such payment is deemed due by Rurem.tv. You shall pay any late charges that Rurem.tv assesses on amounts due but not timely paid. The late charge will be the lesser of 1% per month (or 12% per annum) on the total amount due but not paid or the maximum rate that is permitted by law. Rurem.tv reserves the right to refer your Billing Account to a third party for collection in the event of default. You agree to pay all costs incurred in the enforcement of this Agreement and in collection of any delinquent amounts due, including reasonable attorneys. fees and costs. If Rurem.tv does not receive payment for any charge to your Billing Account, you will be in default and Rurem.tv may suspend or cancel your subscription to the Service. 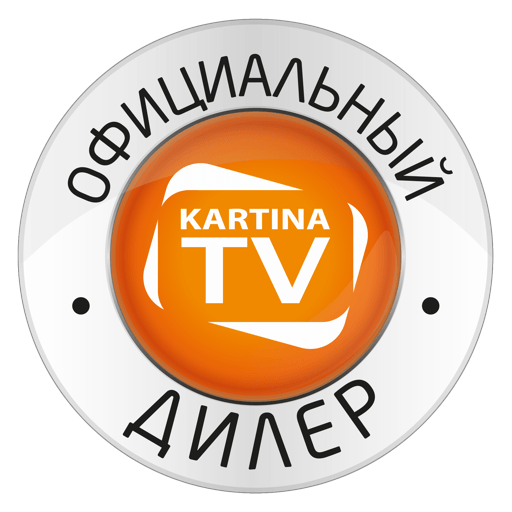 If your Payment Method Provider seeks return of payments previously made to Rurem.tv, but Rurem.tv in good faith believes that you are liable for the charges, then, subject to applicable law, Rurem.tv may seek payment from you and you will also be in default. You are responsible for providing all equipment and Internet connections that you will need to access the Service. Internet connectivity is not included in the subscription fees you pay Rurem.tv to use the Service. We are not responsible for any problems or technical malfunction related to Internet connectivity or user equipment. Although you are using the Service and any associated software AT YOUR OWN RISK, we will offer technical support on a commercially reasonable basis through this Website only. You may request support by submitting a request through our Contact page (https://rurem.tv/contact/). Rurem.tv makes no assurances about its response time, nor shall we be liable for any delay in responding to a request for technical support. Rurem.tv schedules periodic downtime of this Website for maintenance and other purposes. Unplanned service interruptions may also occur. In the event of such interruptions, Rurem.tv will make commercially reasonable efforts to restore the Service. However, Rurem.tv is not liable for service interruptions unless the interruption: (a) is for reasons within Rurem.tv’s reasonable control; and (b) continues for a period of twenty-four (24) hours or more. In the event such an interruption occurs, Rurem.tv will offer you a prorated credit for the period of interruption if you make a written request within 30 days of the interruption. Requests can be submitted via email to webmaster at Rurem.tv. The credit will be made on the next practicable cycle on your account and will be your sole and exclusive remedy for any such interruption. No credit will be issued if the interruption results from circumstances beyond Rurem.tv’s reasonable control, including theft, vandalism, electrical power outage, acts of God, regulation or governmental acts, computer viruses or worms, problems with third party elements not within Rurem.tv’s control, or your failure to comply with this Agreement. This Agreement will remain in full force and effect while you use this Website and/or are a Member. You may terminate your Membership at any time, for any reason, upon notice to Rurem.tv by means of the account termination procedures described in FAQ pages of this web site. Termination of your Membership will not alter your obligation to pay any amounts owed on your account at the time your Membership is terminated. Certain services may require termination charges, and you will pay all such termination charges specified to you at the time your register for the service. Rurem.tv may suspend or terminate your Membership at any time for any reason, with or without notice. Upon termination of your Membership, your right to use the Website will immediately cease. If Rurem.tv terminates your Membership because you have breached this Agreement, you will not be entitled to any refund of unused subscription fees. All terms of this Agreement that by their nature may survive termination of this Agreement shall be deemed to survive such termination. All content on this Website is owned, controlled or licensed by or to Rurem.tv and is protected by copyright and various other intellectual property laws. No part of the Website or the Service may be copied, modified, published, transmitted, distributed, performed, displayed or sold in any way without the prior written consent of Rurem.tv. All trademarks appearing on this Website, whether or not appearing in large print or with the trademark symbol, are the property of Rurem.tv or their respective owners. The use or misuse of these trademarks or any materials, except as expressly permitted herein, is prohibited, and nothing stated or implied on this Website confers on you any license or right under any patent or trademark of Rurem.tv or any third party. THIS WEBSITE AND THE SERVICE ARE PROVIDED .AS IS,. .WITH ALL FAULTS. AND .AS AVAILABLE,. AND THE ENTIRE RISK AS TO SATISFACTORY QUALITY, PERFORMANCE, ACCURACY, AND EFFORT IS WITH YOU. Rurem.tv MAKES NO REPRESENTATION OR WARRANTY OF ANY KIND WHATSOEVER RELATING TO THE WEBSITE, OR OTHER CONTENT OR WEBSITES THAT MAY BE ACCESSIBLE DIRECTLY OR INDIRECTLY THROUGH THIS WEBSITE. TO THE MAXIMUM EXTENT PERMITTED BY LAW, Rurem.tv DISCLAIMS ANY AND ALL SUCH REPRESENTATIONS AND WARRANTIES, INCLUDING WITHOUT LIMITATION: (i) WARRANTIES OF MERCHANTABILITY OR FITNESS FOR A PARTICULAR PURPOSE; (ii) WARRANTIES AGAINST INFRINGEMENT OF ANY THIRD PARTY INTELLECTUAL PROPERTY OR PROPRIETARY RIGHTS; (iii) WARRANTIES RELATING TO THE TRANSMISSION OR DELIVERY OF THE WEBSITE; (iv) WARRANTIES RELATING TO THE ACCURACY, RELIABILITY, CORRECTNESS OR COMPLETENESS OF DATA; AND (v) WARRANTIES OTHERWISE RELATING TO PERFORMANCE, NONPERFORMANCE, OR OTHER ACTS OR OMISSIONS BY Rurem.tv OR ANY THIRD PARTY. FURTHER, THERE IS NO WARRANTY THAT THE WEBSITE OR THE SERVICE WILL MEET YOUR NEEDS OR REQUIREMENTS OR THE NEEDS OR REQUIREMENTS OF ANY OTHER PERSON. Rurem.tv MAKES NO WARRANTIES OR REPRESENTATIONS, EXPRESS OR IMPLIED, THAT THE INFORMATION PROVIDED THROUGH THE WEBSITE OR THE SERVICE WILL BE FREE FROM ERROR, OMISSION, INTERRUPTION, DEFECT, OR DELAY IN OPERATION, OR FROM TECHNICAL INACCURACIES OR TYPOGRAPHICAL ERRORS; THAT THE WEBSITE OR THE SERVICE WILL BE AVAILABLE AT ANY PARTICULAR TIME OR LOCATION; THAT DEFECTS OR ERRORS IN THE WEBSITE OR THE SERVICE WILL BE CORRECTED; OR THAT THE CONTENT AVAILABLE THROUGH THE WEBSITE OR THE SERVICE IS FREE OF VIRUSES OR OTHER HARMFUL COMPONENTS. ANY INFORMATION ON THIS WEBSITE IS SUBJECT TO CHANGE WITHOUT NOTICE, AND WE DISCLAIM ALL RESPONSIBILITY FOR THESE CHANGES. Rurem.tv MAKES NO WARRANTIES OR REPRESENTATIONS RELATING TO THIRD-PARTY CONTENT OR LINKED WEBSITES OR RESOURCES, AND YOU ASSUME TOTAL RESPONSIBILITY FOR YOUR USE OF SUCH CONTENT, WEBSITES OR RESOURCES. IN NO EVENT WILL Rurem.tv BE LIABLE TO YOU OR ANY THIRD PERSON FOR ANY DIRECT, INDIRECT, INCIDENTAL, CONSEQUENTIAL, EXEMPLARY, SPECIAL OR PUNITIVE DAMAGES, INCLUDING LOST PROFITS ARISING OUT OF YOUR ACCESS, USE, MISUSE OR INABILITY TO USE THIS WEBSITE OR THE SERVICE, EVEN IF Rurem.tv HAS BEEN ADVISED OF THE POSSIBILITY OF SUCH DAMAGES. IN ADDITION, Rurem.tv EXPRESSLY DISCLAIMS ANY AND ALL LIABILITY RELATED TO, ARISING FROM, OR CONNECTED WITH ANY THIRD-PARTY CONTENT OR LINKED WEBSITES OR RESOURCES. NOTWITHSTANDING ANYTHING TO THE CONTRARY CONTAINED HEREIN, Rurem.tv.S LIABILITY TO YOU FOR ANY CAUSE WHATSOEVER, AND REGARDLESS OF THE FORM OF THE ACTION, WILL AT ALL TIMES BE LIMITED TO THE AMOUNT PAID, IF ANY, BY YOU TO Rurem.tv DURING THE TERM OF MEMBERSHIP. BECAUSE SOME JURISDICTIONS DO NOT ALLOW THE EXCLUSION OR LIMITATION OF INCIDENTAL OR CONSEQUENTIAL DAMAGES, Rurem.tv.S LIABILITY IN SUCH JURISDICTIONS SHALL BE LIMITED TO THE EXTENT PERMITTED BY LAW. You agree to indemnify and hold Rurem.tv, its subsidiaries, affiliates, officers, agents and other partners and employees, harmless from any loss, liability, claim or demand, including reasonable attorneys. fees, made by any third party due to or arising out of your use of the Website or the Service, your violation of this Agreement, or your violation of any rights of another. This Agreement shall be governed by and construed in accordance with the laws of the province of Ontario, without regard to its conflict of law principles. You agree to submit to the exclusive jurisdiction and venue of the provincial and federal courts of Ontario in all disputes arising out of or relating to the use of this Website or the Service. The failure of Rurem.tv to enforce any provisions of this Agreement or respond to a breach by you or other parties shall not in any way waive its right to enforce subsequently any terms or conditions of this Agreement or to act with respect to similar breaches. Not all features, products or services offered through this Website are appropriate or available to all persons or in all geographic locations. Rurem.tv reserves the right to limit, in its sole discretion, the provision and quantity of any feature, product or service to any person or geographic area. Any offer for any feature, product or service made on the Website is void where prohibited. Unless otherwise specified herein, this Agreement constitutes the entire agreement between you and Rurem.tv and governs your use of this Website and the Service. If any portion of this Agreement is held invalid or unenforceable, that portion shall be construed in a manner consistent with applicable law to reflect, as nearly as possible, the original intention of the parties, and the remainder of this Agreement shall continue in full force and effect.